Welcome to the 295th edition of the Rantings of the Guild Stalker, your one stop spot to get all the juiciest tidbits. But if you hear it here, you probably didn't hear it first, unless you did--in which case I call Shaman Iguana! Welcome to the early edition of this week's newsletter. I mean it isn't that early, but I wanted to get it out at least a bit before launch. Because *squeeeeee* here comes BfA baby! Yes, even change-hating me is a little bit excited. 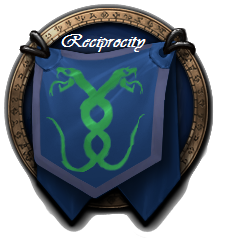 Additionally remember that we also have a Guild Community Group now as well. This is separate from the new guild chat feature/chat panel that shows up in game. This is an entirely new community. The goal is to help us stay in touch if people are playing different games, offline, or *gasp* playing cross-faction. So please please join the community by clicking the link and THEN you want to also add it to your chat windows (you wouldn't want to miss out on the witty banter). To add this community chat to your chat window open the Guild and Community window (after you have joined the community by following the link) then at the bottom of that window there is an "Add to Chat Window" Button with a down arrow on it. Click this and it will get added as a tab to your chat window. You can then choose which windows to add it to. As a final note, help each other out as we progress through the next bit of the beginning of the expansion. Provide help when asked, etc. but remember that we all move at different speeds so try to not throw too many spoilers out there for people or to rush people if they don't want to be rushed. And most of all--rememeber to have fun!! Please feel free to use materials from the last expansion in your leveling efforts. As you level and get things you don't need toss them in the guild bank or if you want credit for this months Mat Battle send them to Oddbee. Make sure to note this is a character change because she is changing toons this expansion (back to her priest). Hopefully people were watching Facebook, Discord, and the MotD. I posted the tentative raid roster yesterday. Please check that 1)you are on the list if you are interested in raiding in BfA and 2) your main is correct on the list. If those two things aren't true please get in contact with me asap! The first raid drops on September 4th so we want to hit the ground running. Secondly, we are trying to solidify our raid days and times and I put out a survey. So if you want to put in your two cents before we make our decisions. Please please please take a few minutes and fill out the raid time survey by following this link. We will evaluate first thing Wednesday morning and try and announce the new days and times as soon as possible. In between launch and the new raid we will be using raid nights to leveling, gear, run dungeons etc. The last order of business for this newsletter is to see who would be interested in being in some long term consistent mythic plus groups. We are contemplating setting up some guild groups so help get people in more mythic+s early on (since they are more fun that way in my opinion) and usually easier and more reliable. So, if you would be interested in doing weekly mythic pluses with guildies please let Rho know. More details on exactly what this would mean depends on how many people would be interested etc. Please fill out and submit this application.